The first few days of Year 12 are disastrous for school captain Daisy Brooks. But Daisy’s life takes a sudden turn when she is dared by Skye, the leader of the Blonde Brigade, to meet the mysterious, drop-dead gorgeous stranger, Nate, from rival school Addison Grammar. Daisy’s instant attraction to him disrupts her world. But what about her best friend Roman? How will he respond to this intruder? 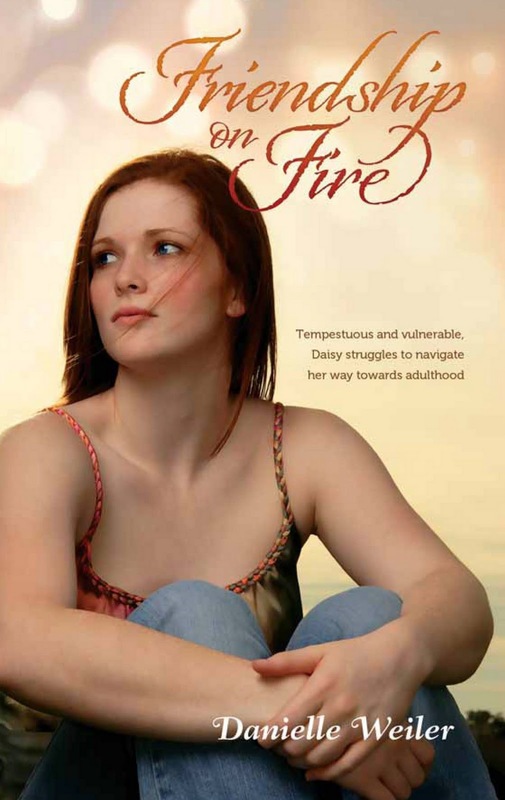 Daisy is a vulnerable, yet fiery girl going through the chaotic phase between teenage-hood and adulthood. She is about to discover the complexities of relationships, the etiquette of friendship, and most of all, the development of herself as a woman. Is it too late for Daisy to realise that the choices she makes shapes who she is and who she will become? My first impression of Friendship On Fire was that it seemed a lot like paranormal romance novel without the paranormal elements - a love triangle, a girl who's interested in a guy who seems a bit dangerous, and her - pretty normal, smart, but still a bit clueless. It's quite lengthy, and while I think the novel has plenty of depth as a result, I think it could be pared down a little and still have the same effect, though it would be more of a contemporary YA length. Once I began reading the novel, I discovered there was a lot more to it than just the romance plotline (though that is a very important central theme, and will appeal greatly to teenage girls) - Daisy's whole final year of school is played out over the course of the book, and it's big and intense and filled with lessons for her and lots of growing up. Though I liked Daisy, she could be frustrating at times, and sometimes the narrative was a little confusing (a couple of jumps between events and places that seemed out of place and pulled me out of the story), but the range of issues and (often funny) cast of characters (especially Daisy's grandma and family, and Roman and family - they were my favourites) made the novel well-rounded and enjoyable. I liked Daisy's voice, and found her telling of the story believable, and though the dialogue was great, at times it seemed a little too composed for an ordinary teenaged conversation. The book has a diary sort of tone - Daisy is a very introspective character, and a lot of the novel deals with her reflections on events and experiences. Throughout the book there were diary entries and a couple of poems, as well as a dream sequence, but I felt as if these were unnecessary additions - Daisy's feelings and inner-thoughts were already well established through the very intimate and detailed narrative. It's an interesting dissection of someone's final year of school, and packs a lot of messages and life lessons, and though sometimes leaning towards the melodramatic, I liked it and I think it'll definitely find a fanbase among teenage girls. A great voice and sensational read.